Hints Of The Chesapeake Bay’s Brighter Future | Willard Agri-Service of Frederick, Inc.
Investments in best management practices in the Chesa­peake Bay watershed may finally be paying off for its many stakeholders, including agriculture. Agriculture in the Chesapeake Bay watershed has been working for almost two decades to stem nutrient losses from fields and improve water quality. In 2015, officials with the Chesapeake Bay Foundation (CBF) reported some promising signs in the health of feeder rivers, streams, and the Bay itself. We’ve seen a nice comeback of underwater grasses and nice improvement in oyster populations, says Kim Coble, CBF Vice President. It’s still early, there’s still a lot of work, but we probably have felt more encouraged this year than we have in a long, long time. A number of factors could account for the limited success. One is the sheer size of the watershed. We have 64,000 square miles of land that feed into the Chesapeake Bay, says Coble. We care about every inch of that every stream, creek, and river. Extreme rainfall in recent years has helped flush nutrients before they’ve been used. And unfortunately, because of the way nitrogen and phosphorus migrate through the ground, it can take years for some lost applications to reach the Bay. Finally, other sources of Bay pollution, including urban runoff, have grown over the last several years, though agriculture is still named as the primary contributor. But, says John Surrick, Director of Media Relations with CBF, it’s important to realize that agriculture is the second largest land use in the region. From a pollution perspective, well managed farms are a preferred land use, second only to forests, he points out. What stands out in the region is the sheer number of stakeholders aiding the effort. Coble reports there must be hundreds of both government and non-government groups offering time and resources. Anywhere from small friends-of-a-creek groups that are interested in a 20 square mile watershed to river keeper organizations to the Natural Resources Conservation Service (NRCS) and the CBF, which monitors the entire watershed. Coble says many of the entities, including environmentalists of all stripes, have coalesced around the Farm Bill, lobbying for funding for conservation programs. Where I live is a really odd place, says Trey Hill, Harborview Farms, Rock Hall, MD. The farmers and environmentalists kind of work together to come up with solutions. Envi­ronmentalists seem to be a lot better getting funds from the government. He says local groups offer other resources. One association sponsored a program to put 10 Greenseeker units on farmers’ sprayers to try variable-rate nitrogen. Hill took one. The river keepers and the farmers working together is kind of a natural alliance even though from the outside, if you talk to farmers, they wouldn’t think that, he says. The river keepers and local environmental groups don’t want us out of business because healthy, economically viable growers are better for the Bay than farms going out of business or land going to housing and corporate developments. Hill says that a good deal of money from varied sources is targeted for cover crops. They’re the least expensive way to remove nutrients from the soil. In fact, the practice has been successful on a number of levels. First, nitrogen and phosphorus are being pulled up from the soil to be recycled for next season’s crops. Then there’s the public relations angle. People ride up and down the road. They’re not farmers or landowners, and they see the fields are green in all weather, says Hill. It’s easy to explain that the green means waterways are being protected from nutrients. Another visual proof: He notices water running clear from fields after, say, a 4-inch rain. The topsoil is staying in place. He compares it to a field plowed in the spring where water flows muddy. But Hill’s cover crops combined with no-till practices are also improving overall soil health, a goal he’s been working towards for a few years. In fact, Hill has started planting corn into the cover crops while they’re still green, instead of after they’re terminated. It’s a practice his team stumbled on during some season timing issues. It looked pretty ugly, Hill notes, but he found waiting until mid-April means the cover crops are leaving a lot of extra root structure, and planting goes better. He can also plant when fields are a lot wetter, since the cover also reduces compaction. Hill believes the next big thing to control nutrient losses may be variable rate application based on advanced modeling. He has been trying VRA based simply on yield potential for about five years, but realizes the limitations here. I’m happy with it, but it doesn’t have the big data component that companies such as Monsanto and DuPont will have. We’re not aware of what is being leached out, and we’re not utilizing weather data. Data to assess the impact of green strategies on the Bay’s condition is definitely not lacking. Coble says there’s a whole suite of folks, including state governments, EPA, NOAA, and USGS that are monitoring different sites all over the watershed. Nutrient load number crunching is key. 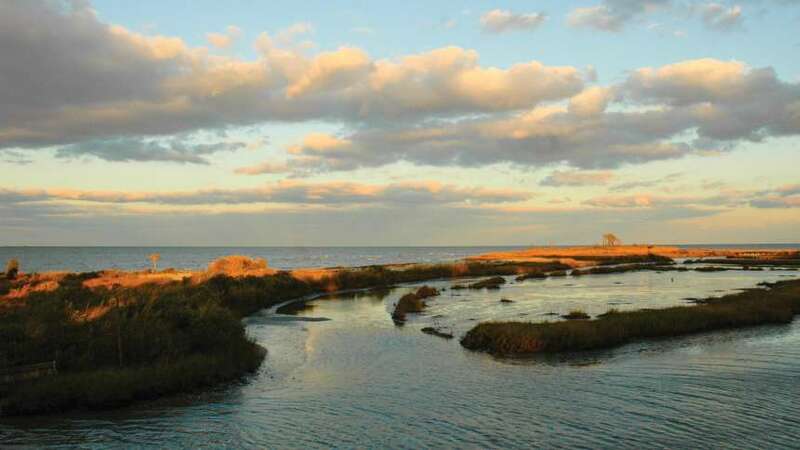 In part because EPA’s 2010 Chesapeake Bay Clean Water Blueprint, otherwise known as the Total Maximum Daily Load (TMDL) calls for reductions in nitrogen and phosphorus to be met by 2025. The American Farm Bureau Federation is challenging the blueprint in court, citing a huge overreach of agency powers that will greatly impact land use. Hill points out that agriculture is not the only Bay pollutant contributor that has been called upon to make changes. For instance, residents building new homes in the region are required to put a nitrogen fixing system on their septic systems costing in the range of $7,000 to $10,000. In addition, municipalities are targeting wastewater and sewer systems for improvements, as taxpayer funding becomes available.